We are blessed with a garden with great variety, large shrubs, winding paths, rockery and an area where my husband has created raised beds. At our former home we had a small back garden and allotment. This garden gives us the best of both, although admittedly a much smaller area for growing. 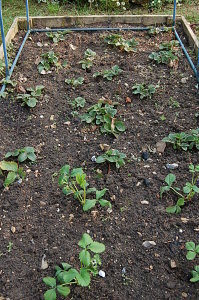 The weekend was glorious weather, the strawberry bed was weeded, raised beds dug over. The tot and I enjoyed planting carrots, parsnips, and cut and come again salad leaves. I say enjoy – it takes a certain level of letting go when planting seeds with a tot, the plants will be coming through in clumps:) As usual we are crop rotating, thank goodness for my husbands memory. I strongly encourage you to grow your own – you don’t need raised beds, salad, beetroot, french beans are a few if the items you can grow in window boxes and pots. 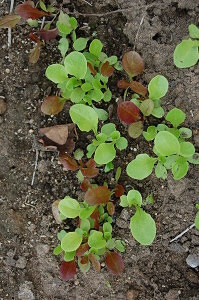 We pick up cut and come again salad leaves seeds from the 99p shop and gain many, many salads from the one packet of seeds. 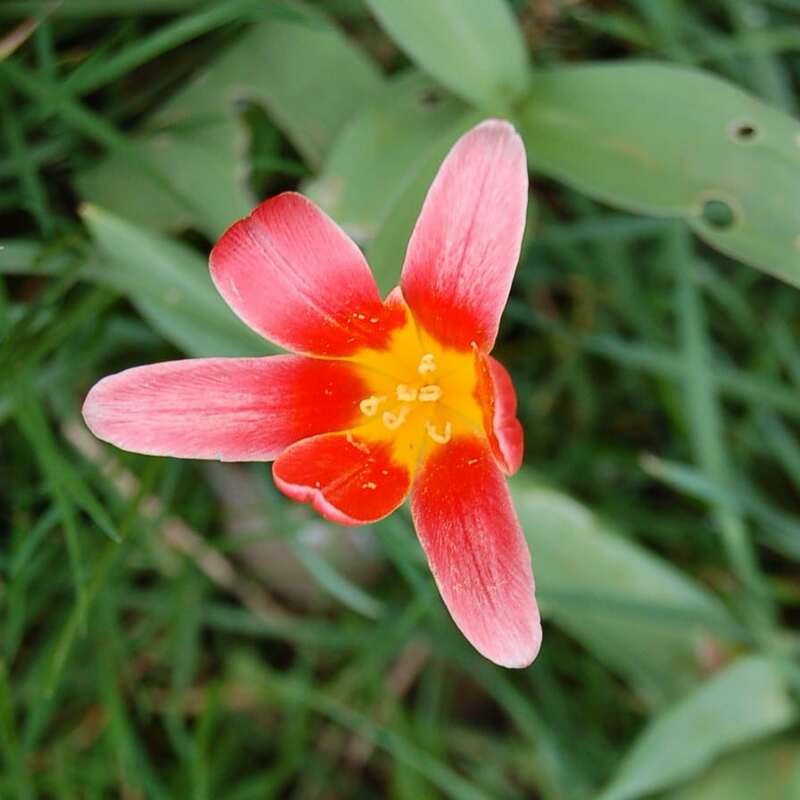 Linking in with Thrifty Thursday, and How does you garden grow. I have just G+ messaged you a similar link for re-growing veg from kitchen scraps. 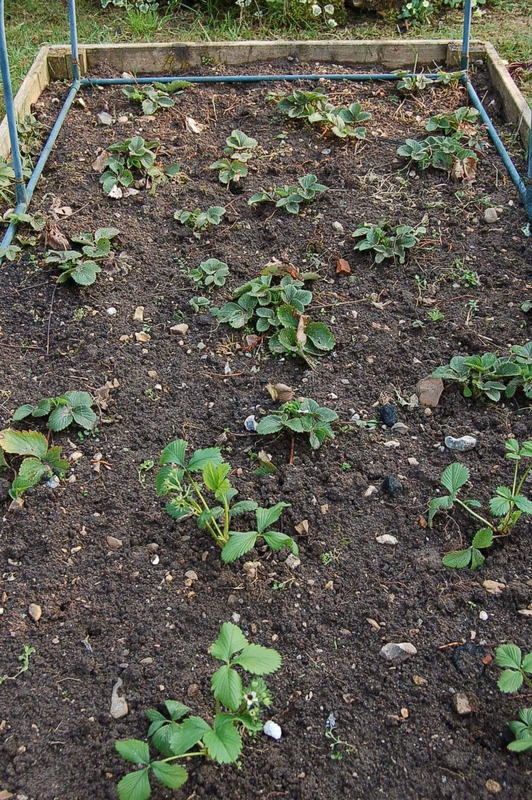 Your garden looks like it’s all coming along great, you’ll have plenty if lovely salad in a few months time. 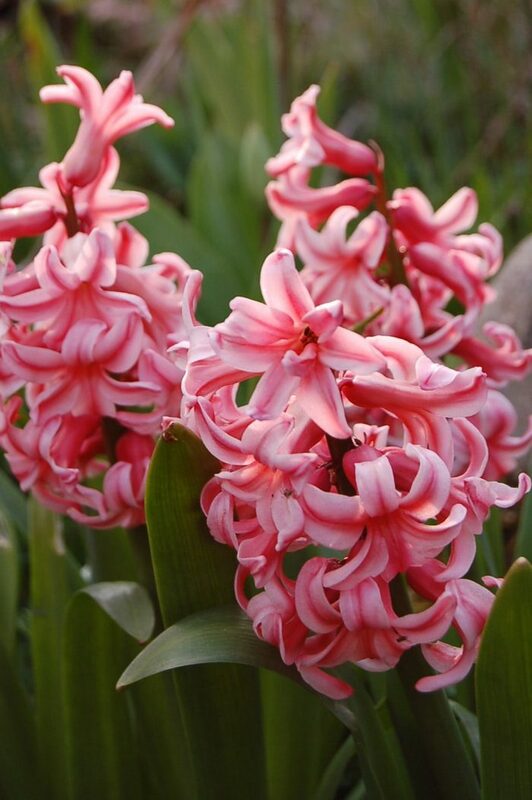 You have some lovely Spring garden plants. Looks like you have alot of growing space, do you manage to grow most of your own food? I didn’t know you could grow French beans in pots, thanks for the tip! You are so lucky to have a garden! However I DO have six large plant pots and live in stunning countryside. So happy days! I love just how much you are growing yourselves and that you garden together, it’s nice to have a common love. We haven’t grown anything where we live at the moment, as a summer of house extension and garage re-building is ahead and I’ve been warned just how much of a mess our garden might end up during it – but I do remember the happy feeling of planting carrot seeds and going out to tend for them each day – really good times. Mammasaurus recently posted…47. How Does Your Garden Grow? So much growing out there! 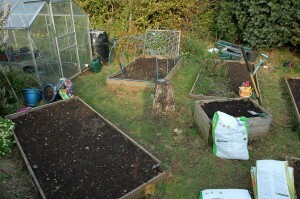 I’m just redesigning my garden now, and adding a fruit & veg patch. We’ve blueberries, raspberries, strawberries, peas, pumpkins and carrots on the agenda, and my herb garden is really starting to flourish. Kirsty – Hijacked by Twins recently posted…Word of the Week – CAKE! What a wonderful garden. We would love to get into growing our own- as soon as the children stop uproots our meagre efforts to date! Your comment made me smile – the tot is 3 this year so he has been band from mud pies – only allowed sand pies from now on!! Surely he is old enough?? The aim is to quickly fill his earth supply of containers with veg and hope he respects them! So nice to grow things yourself, what a great sense of satisfaction. For the last few years we have planted lettuce and rocket seeds, and saved so much money growing and picking our own, all sourer for about £2. What a bargain!